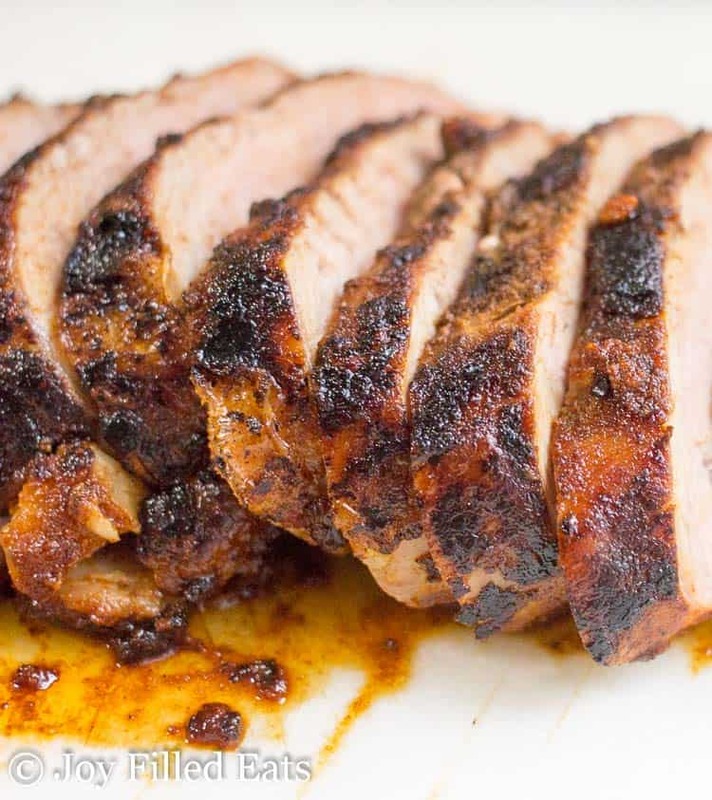 This Smoked Paprika Pork Tenderloin Rub is incredibly flavorful. 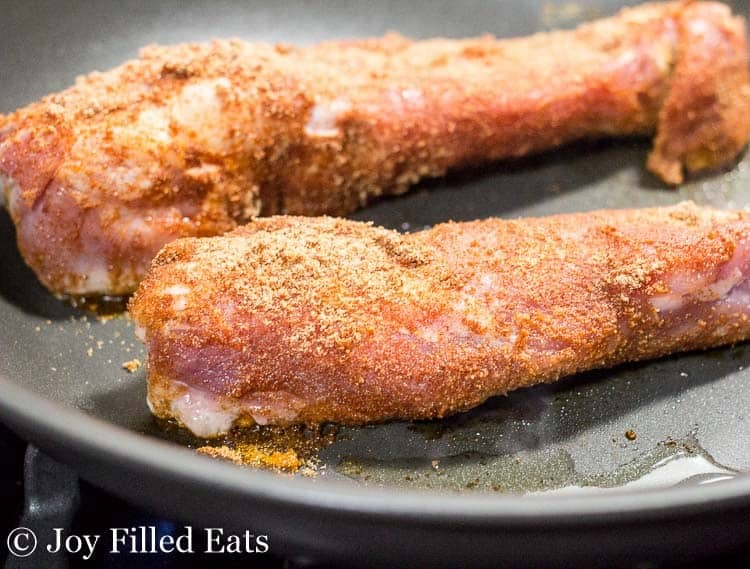 With just 4 simple ingredients you can kick up the flavor on any type of meat. 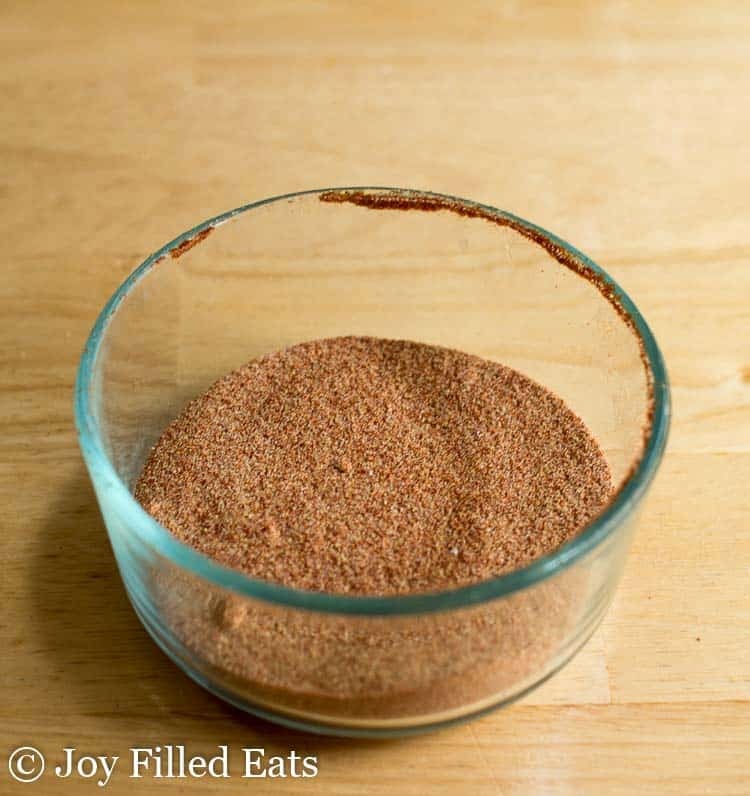 We use this homemade smoked paprika rub on pork or chicken at least twice a month. It is the favorite dinner of 3 out of 4 kids surveyed. The smoked paprika gives pork so much flavor. It has become our go-to seasoning for any type of meat. I use it all the time on roast chicken, pork tenderloin, pork ribs, on burgers, and more. We really do use this recipe more than any of my others. 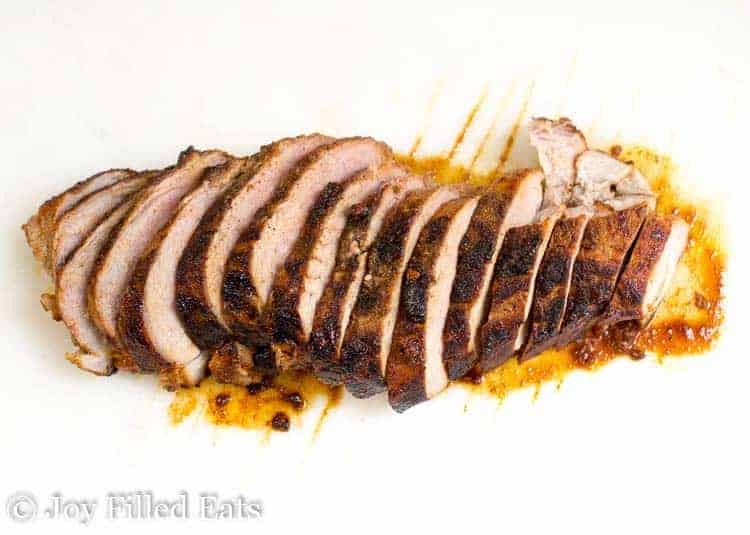 Pork tenderloin with smoked paprika rub is a standard in our dinner rotation and is nice enough that I serve it to dinner company at least a few times a year. My kids like to eat it with applesauce. I serve this pork tenderloin recipe with mashed cauliflower a lot of the time. 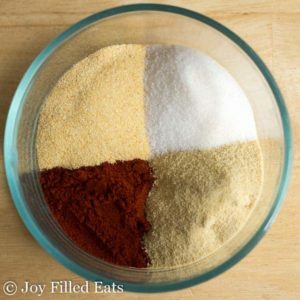 Just add the 4 rub ingredients to a small bowl, plastic container, or zipper storage bag and stir or shake. Instructions: Combine in a jar and shake. I usually make a good amount at once (using 1/2 cup of the first three and 1/4 cup of salt) since we use this often but you can make as little as a few tablespoons. That is all you need for one recipe of the pork. ***Note: You NEED smoked paprika. Regular paprika will not work. Amazon has a 4 oz bag for about $8 with free shipping. It is worth it. Regular spices in the grocery store are only about 1 oz. This is a great price and has so much flavor. 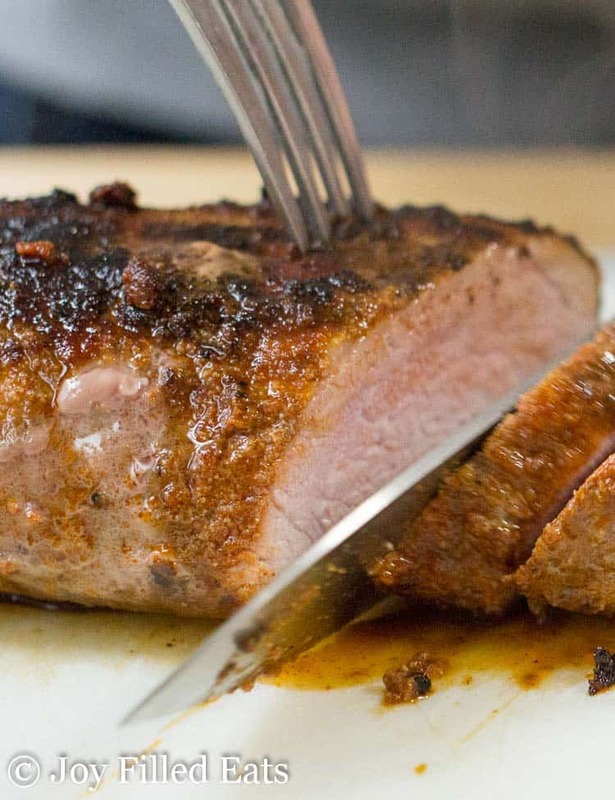 This is the Best Pork Tenderloin Ever. And the simplest. 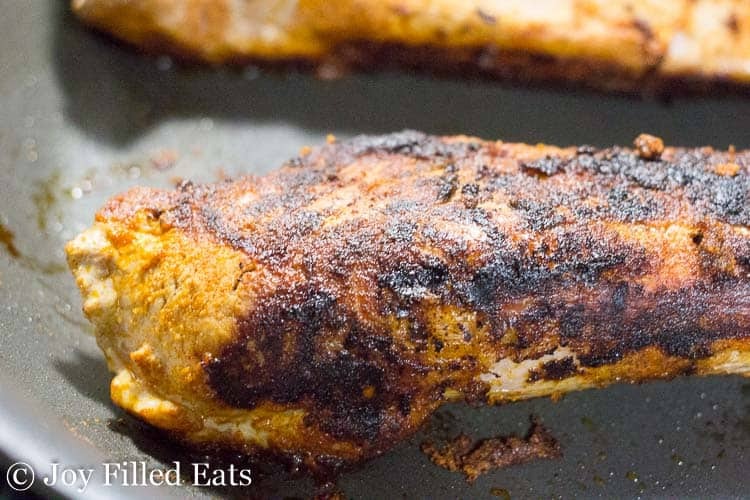 All you need is a twin pack of pork tenderloins + my smoked paprika rub. Pork tenderloins tend to come in a two pack where I buy them. They are about 1 pound each and Costco sells them in a twin pack (so four pieces of meat). One pack is perfect for our family for dinner so I get two dinners for about $6 each. If we are having company I will cook both packs. I sear the pork tenderloin on every surface possible. You want a nice deep brown crust the whole way around. Once you have seared the pork simply pop it into the oven and bake until you have your desired doneness. I cook my pork until it is 155 degrees and then let it rest to come up to 160. 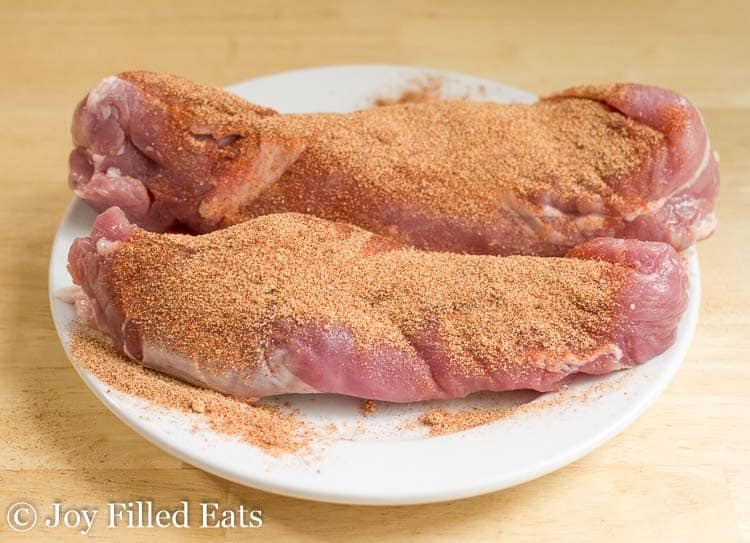 If you want to try this pork tenderloin rub on chicken put it on the meat side of bone in skin on chicken thighs and roast them. Season the skin side only with salt (the rub can burn when broiling chicken skin to get it crispy). I normally roast chicken at 400 until it is 160 degrees and then turn on the broiler for 2-3 minutes to make sure the skin is super crispy. Combine in a jar and shake. Preheat oven to 425. Liberally coat the pork tenderloins with the smoked paprika rub. Heat a large ovenproof skillet over medium-high heat. Add a few tablespoons of the oil of your choice. I usually spray it with an olive oil sprayer. Sear the pork on all four sides for the best crust. Move the pan into the oven and roast for about 25-30 minutes until the pork reaches 155-160 degrees. If you do not have an ovenproof skillet you can transfer the pork to a baking dish at this point to finish cooking in the oven. Originally Published February 6, 2016. Revised and Republished May 28, 2018. Just made this for the first time -- I absolutely love the flavor! Thank you! I have regular paprika and liquid smoke. How could I use this in the recipe? I'm not overly familiar with liquid smoke. I suppose you could rub some on the pork before adding the rub. What is the serving size?? 1/6th of the meat. Which is about 5 ounces. Can this rub be used when cooking my Tenderlion on my Rocky Moutain Smoker? Looking for a recipe that adds flavor without being spicy? We make this rub but with regular paprika when we use our smoker. Loving your recipes! I do see that you use your smoked paprika rub on a few recipes. Do you have them homemade blend to this? I can't find it on the site or anything like it in our store. Thanks for your help!! It is in this recipe :) I do equal parts smoked paprika, onion powder, garlic powder, and then 1/2 of a part salt. Could this be made in the crockpot? Would I still have to sear it first? I have a 3 1/2 lb pork roast to cook and am gone for 10 hours at work. Yes, if it's a fatty cut. It will fall apart like pulled pork though. I use this same rub for pulled pork. You do not have to seat it.